Does your office havekiller amenities? Did you creatively repurpose ahistoric buildingfor your HQ? Are you working from a houseboat? We're looking for your Cool Cribs for a special feature. 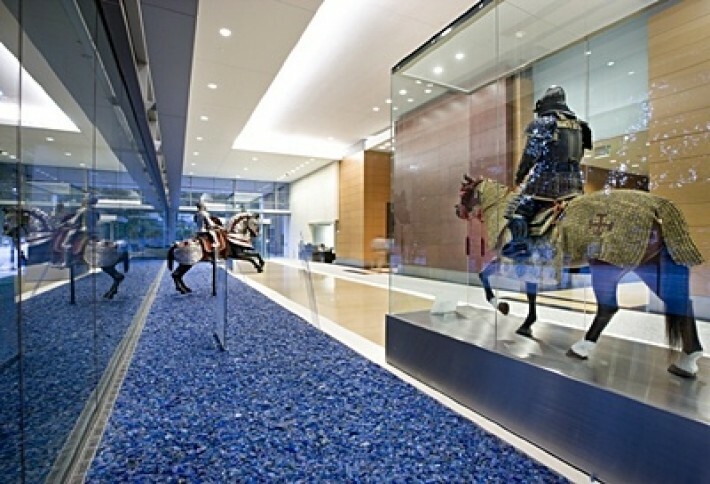 Heres one of many art-filled lobbies in the Harwood district (at 2828 N Harwood), which we think is pretty cool because it features antique horses and mounted knights in full armor from the private collection of Ann and Gabriel Barbier-Mueller. Can it get cooler that to be set amongst an under-lit glass aggregate of more than one million illuminated blue glass rocks? Nominate yourself (or a friend) by emailingtonie@bisnow.com.